“Tarantella” is among the most recognized forms of traditional southern Italian music. Was it fate or chance that the first ever Swan built, back in 1966, should have a name with a strong Italian legacy? Maybe the story of Nautor’s Swan was already written… A boatbuilding company whose success is based on the perfect marriage of Finnish tradition and Italian flair and style. 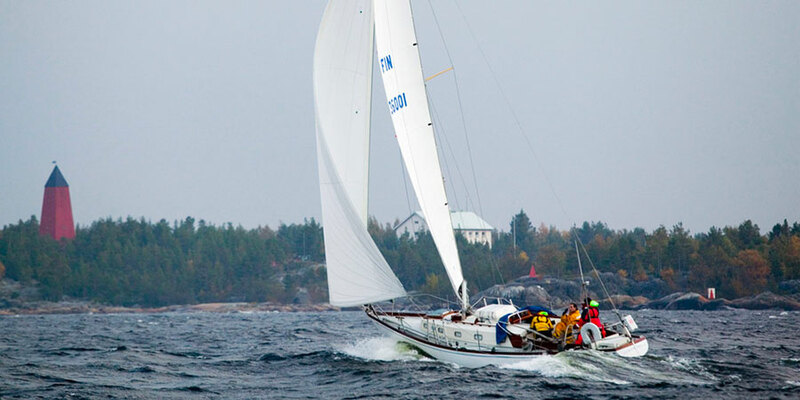 It all began in 1966 with a Sparkman & Stephens-designed 36-footer commissioned by local builder Pekka Koskenkylä. Pekka had the intuition and the ability to convince Sparkman & Stephens – New York, one of the most acclaimed yacht designers at that time, to design his first sailing yacht in fibreglass trimmed with wood. No one before had built a vessel over 10 metres in length with this material, which was still a novelty for shipbuilding. 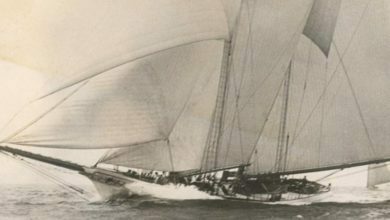 This first yacht introduced a significant number of innovations such as the rudder positioned fully aft, the skeg separated from the fin keel, the centre of the hull shifted back with the application of a bustle, and the swelling of the keel aft thus providing great steering stability. The result was a fibreglass boat whose behaviour and safety equalled that of traditional wooden boats, and could provide greater steering stability, yet was lighter and with more living space. Well before the launch of the first iconic Swan 36, Pekka Koskenkylä had received four orders and he knew this was the opportunity to develop a new successful market for fibreglass boats. Where did the name Swan come from? While strolling along the harbour in Turku and admiring the Finnish training ship of the early twentieth century, Suomen Joutsen “Swan of Finland”, Pekka had the inspiration: Swan, a powerful and majestic creature, just as Pekka imagined his sailboats to be strong and elegant, and a word that was equally understood in the Scandinavian languages, German and English. 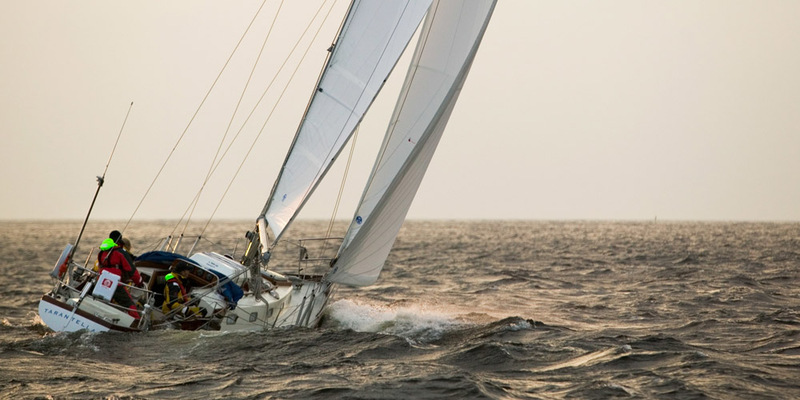 In the spring of 1968, a Swan 36 was delivered to British sailor, Dave Johnson, who skippered the yacht with remarkable success in regattas around the British Isles, and in particular at Cowes. 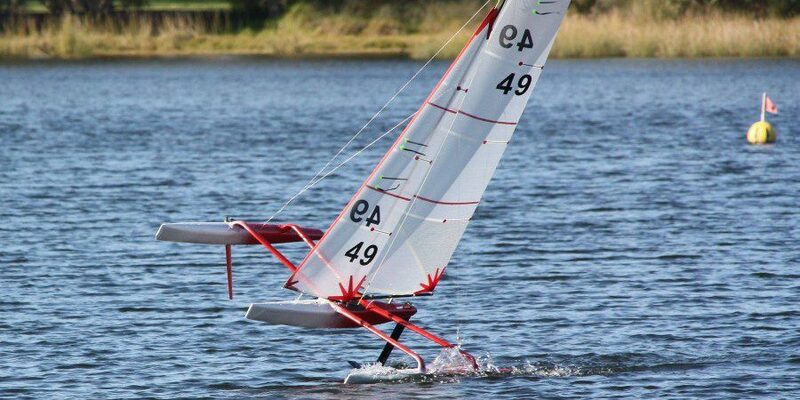 These racing achievements generated such a positive feedback that Nautor’s Swan rapidly established its reputation as the foremost manufacturer of high performance racing yachts. 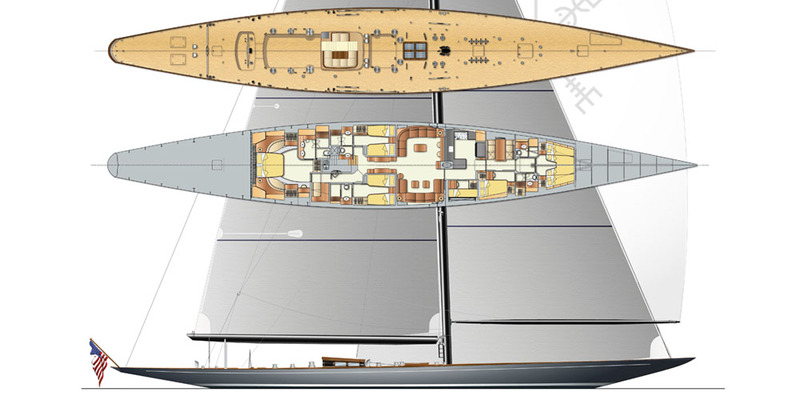 Swan 36 Tarantella marked the beginning of one of the most prestigious boat yards in the world. 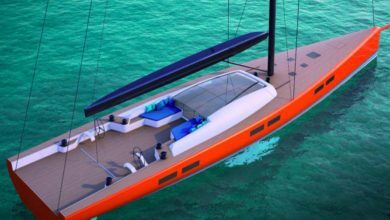 These yachts have come to embody the ultimate luxury and quality in the sailing industry with full respect for the founder’s motto – “the very best”. Cherishing its tradition, Nautor’s Swan purchased Tarantella in 1996 and brought her home for a refit. Now every Wednesday night a small team led by Ian-Erik Nyfelt, who started working with Pekka in 1966 and retired in 2003, takes care of its restoration with the eyes set on the fiftieth anniversary of Nautor’s Swan in 2016 and taking part in the Rolex Swan Cup in Porto Cervo. 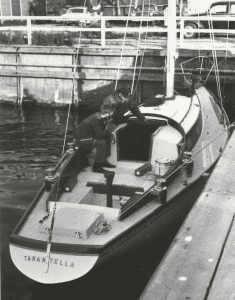 Tarantella resides in Nautor’s enormous BTC (Boat Technology Centre), amidst the hive of production of new boats. She is as far from the high-tech Swan 115 as you can be: the hull volume of a Swan 115, the yard’s flagship, is 570 m3 while Tarantella measures at 22 m3, which means that about 26 Tarantellas could fit inside the new 115! The pride of the team working on Tarantella is tangible, and a testament to the boatbuilding heritage of Jakobstad and the commitment of Nautor’s Swan to build a lasting legacy. Ralph Nyfelt, the shop’s current foreman, was 13 years old in 1966, and at that time he helped his uncle build Tarantella. He officially started his career at Nautor in 1970, when the Swan 36 was replaced by the Swan 37 after 90 hulls were built. Out of the 75 models that Nautor’s Swan has built, Ralph has worked on 70 of them. The “Swan of Finland” is indeed as strong and elegant as ever – just as Pekka had envisioned it. The heritage carries on, and Tarantella will be shining at the Swan 50th Anniversary Regatta in July 2016 in Turku, along the same shores where Pekka had admired the Suomen Joutsen.